Old files. When can you shred them? Can you charge a “nonrefundable” retainer? What terms do you need to make your arbitration clause enforceable? How can you use social media to enhance your professional reputation rather than to ruin it? What 10 things should you do to avoid getting an envelope with the return address: “Office of Disciplinary Counsel”? What are the 8 keys to an ethically-compliant law firm website? For straightforward answers to these and other real-life questions, get Louisiana Legal Ethics: Standards & Commentary (2015), an up-to-date compendium of Louisiana legal ethics rules, useful citations, and indispensable practical advice. The Louisiana Rules of Professional Conduct, with annotations on the history and adoption of each rule, ABA comments to the corresponding model rule and important Louisiana case law. Louisiana Supreme Court Rule XIX (on lawyer discipline). Materials on disciplinary sanctions, including the ABA Standards for Imposing Lawyer Sanctions. Selected “professionalism” codes and materials. Dane S. Ciolino edits and annotates the book. 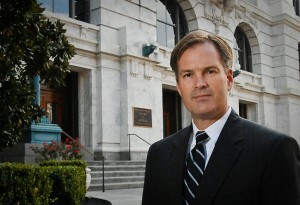 He serves as the Alvin R. Christovich Distinguished Professor of Law at Loyola University New Orleans College of Law, where he teaches legal ethics. Professor Ciolino is a former Editor in Chief of the Tulane Law Review who practiced law at Cravath, Swaine & Moore LLP in New York City, and Stone Pigman Walther Wittmann LLC, in New Orleans. He has a limited law practice, principally in the areas of legal ethics, lawyer discipline, judicial discipline and federal criminal law. 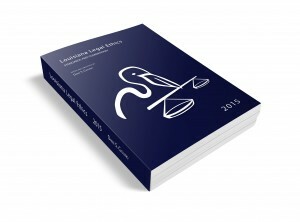 For a PDF preview of the book’s introductory pages and other sample pages, click here: Preview Introductory and Sample Pages from 2015 Louisiana Legal Ethics Book. To buy the book at Amazon.com, click the button below, or click here: Buy Paperback Book from Amazon.com. The book is also available for Kindle e-book readers here: Buy Kindle E-Book from Amazon.com.